Order Thymes here under the botanic name Thymus or click on any name below. on Thymes Culinary Thymes make a great addition to our Edible Flower Garden Six Pack. 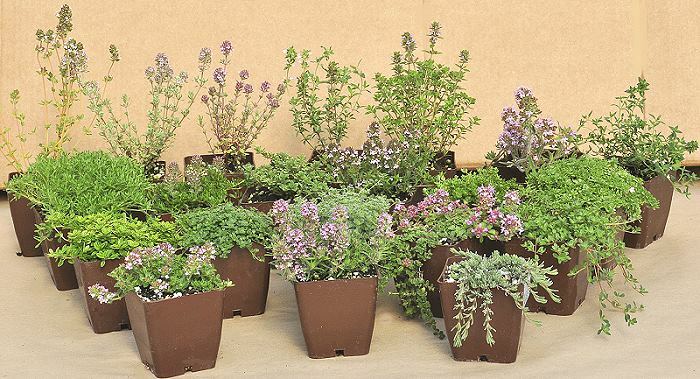 In addition to our three inch pots, many of our thymes are often available in plug trays. These trays hold 128 of all the same plant. They are a great low cost way to fill a lot of space. Each cell is 3/4 of inch by an inch. Check here to see which Thyme Plug Trays are currently available.